‪‎Cockfighting‬ ‪‎Passion‬ is ‪‎Gamecock‬ ‪‎Farming‬, ‪‎Sports‬, and ‎Industry‬. Madagascar, officially the Republic of Madagascar, and previously known as the Malagasy Republic, is an island country in the Indian Ocean, off the coast of Southeast Africa. The nation comprises the island of Madagascar (the fourth-largest island in the world), as well as numerous smaller peripheral islands. Following the prehistoric breakup of the supercontinent Gondwana, Madagascar split from the Indian peninsula around 88 million years ago, allowing native plants and animals to evolve in relative isolation. Consequently, Madagascar is a biodiversity hotspot; over 90% of its wildlife is found nowhere else on Earth. The island’s diverse ecosystems and unique wildlife are threatened by the encroachment of the rapidly growing human population and other environmental threats. In 2012, the population of Madagascar was estimated at just over 22 million, 90% of whom live on less than $2 per day. 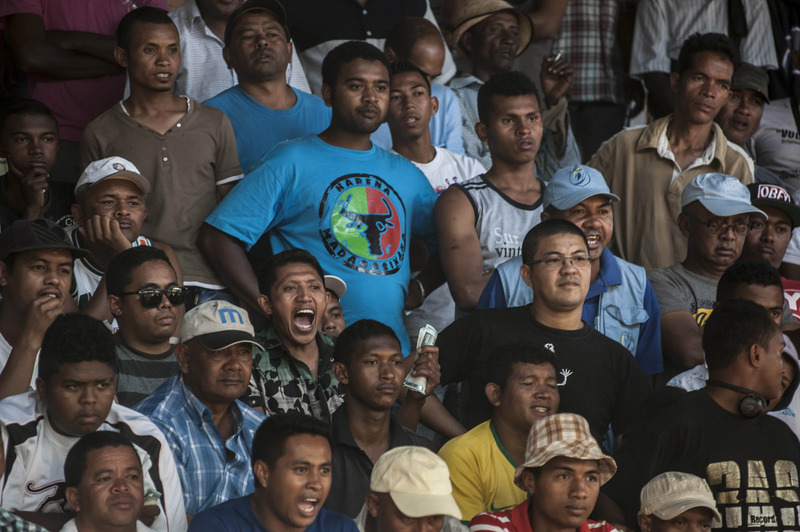 Malagasy and French are both official languages of the state. The majority of the population adheres to traditional beliefs, Christianity, or an amalgamation of both. Ecotourism and agriculture, paired with greater investments in education, health, and private enterprise, are key elements of Madagascar’s development strategy. Under Ravalomanana, these investments produced substantial economic growth, but the benefits were not evenly spread throughout the population, producing tensions over the increasing cost of living and declining living standards among the poor and some segments of the middle class. 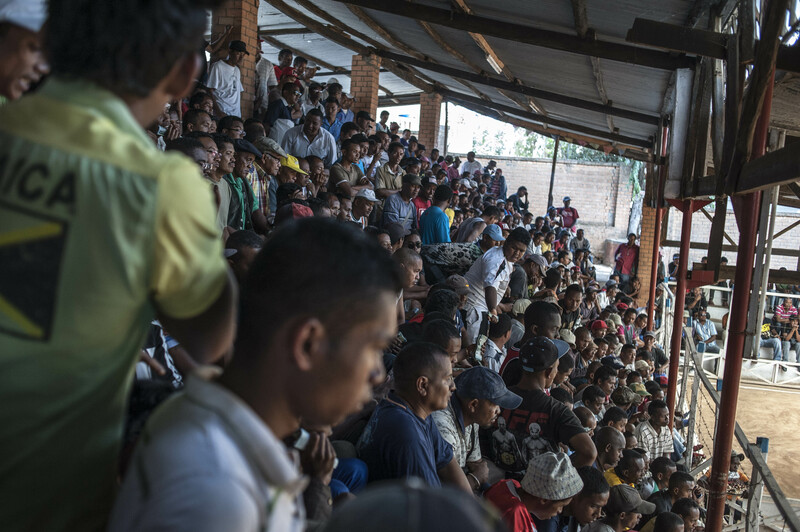 As of 2014, the economy has been weakened by the recently concluded political crisis, and quality of life remains low for the majority of the Malagasy population. Traditional sport is major source of income for many with wealthy enthusiasts betting even cars and houses on roosters. 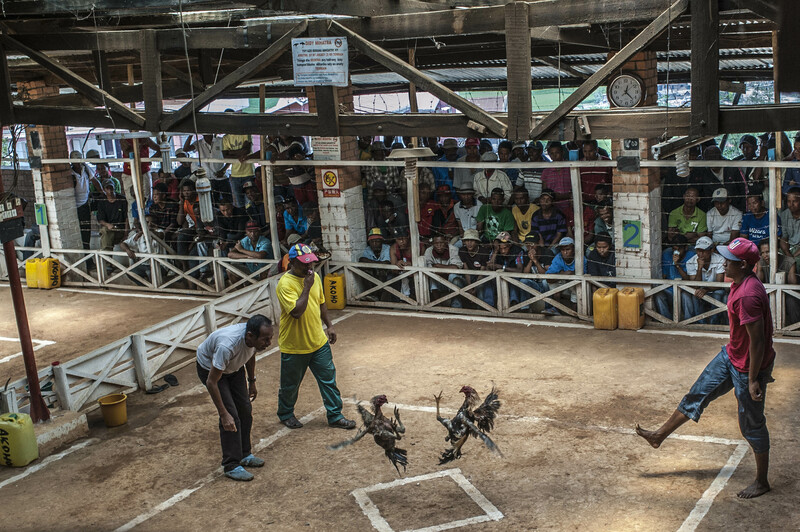 Antananarivo, Madagascar – On any given weekend, the residents of Madagascar’s capital, Antananarivo, gather for their weekly cockfighting competitions. 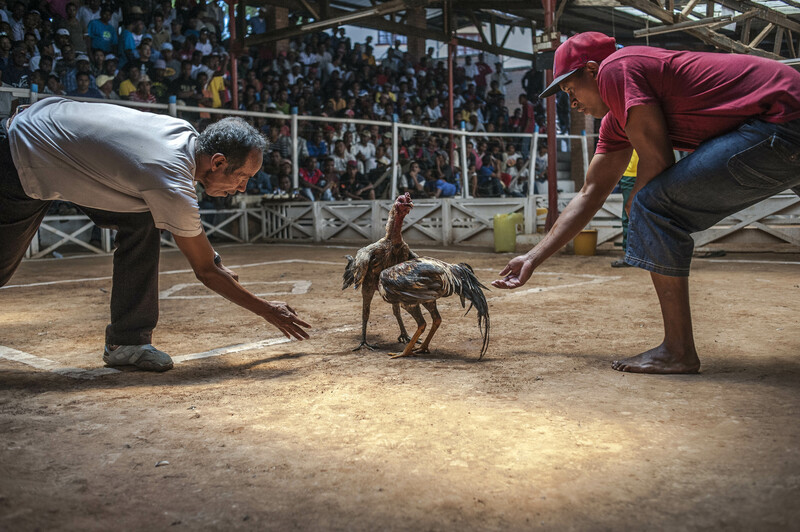 Cockfighting is said to be one of the world’s oldest spectator sports. Although it is illegal and considered cruel in many countries, in Madagascar it dates back to the 18th century, when it served as entertainment for the royal family, and is still very popular today. 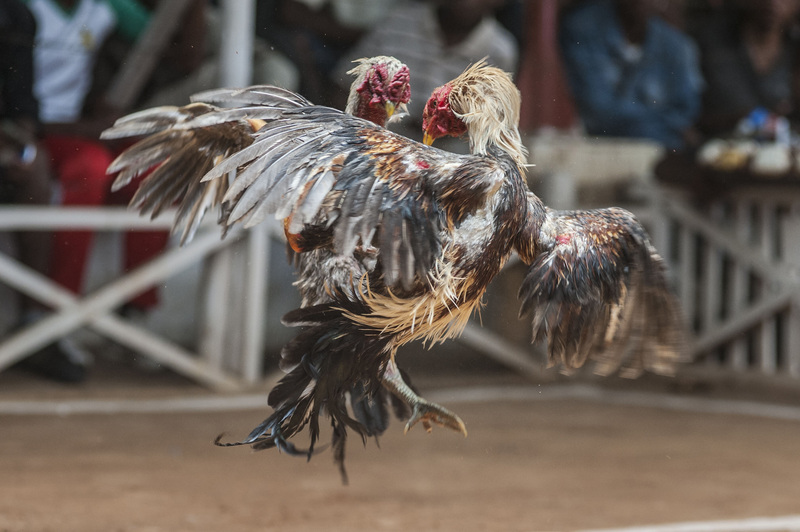 In a country where poverty is widespread, cockfighting is seen as a way to make lots of money very quickly. People spend large sums breeding the birds and stand a chance of winning big if their roosters win fights regularly. Often, wealthy men bet cars and houses during cockfights between their roosters. People gather at a gallodrome with their roosters on weekends and match them up according to size, weight and height. A fight will only take place once both owners have completed the negotiations and agreed to let their roosters engage in a fight. 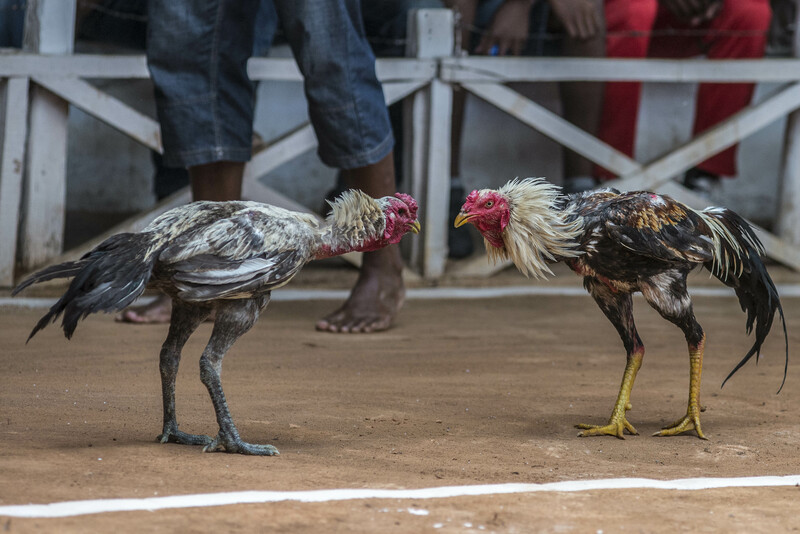 Cockfights can last up to 90 minutes and the first rooster to leave the ring or run away from his opponent loses the fight. 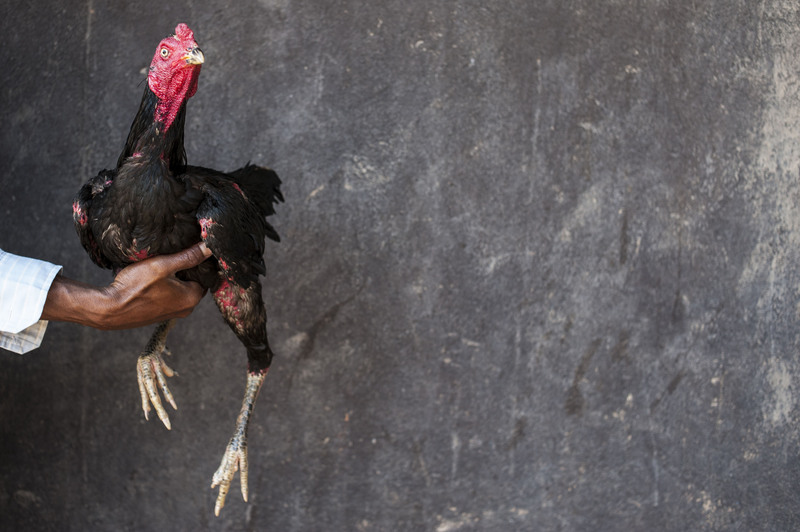 A man shows off his rooster as he waits for an opponent. 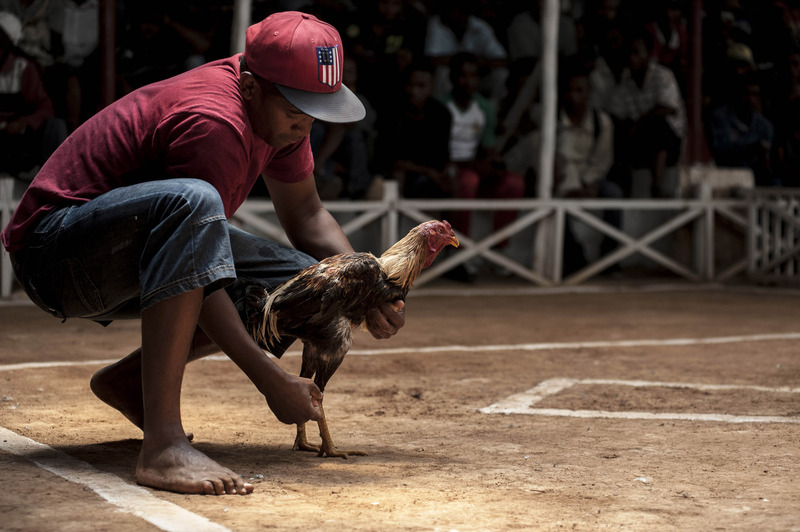 Men check out the size difference between two roosters at a gallodrome in the city of Antananarivo. Fighting will only take place between two roosters of similar size, weight and height. Because of the recent economic stagnation due to political unrest, people view the weekly cockfights as a way of earning extra money. The birds are naturally aggressive to one another but in the ring this is exaggerated as they have been trained to fight. It can take anywhere between a few months to a year to have a bird ready for combat. This depends on the owner who will decide when he feels the bird is ready for a competitive fight. 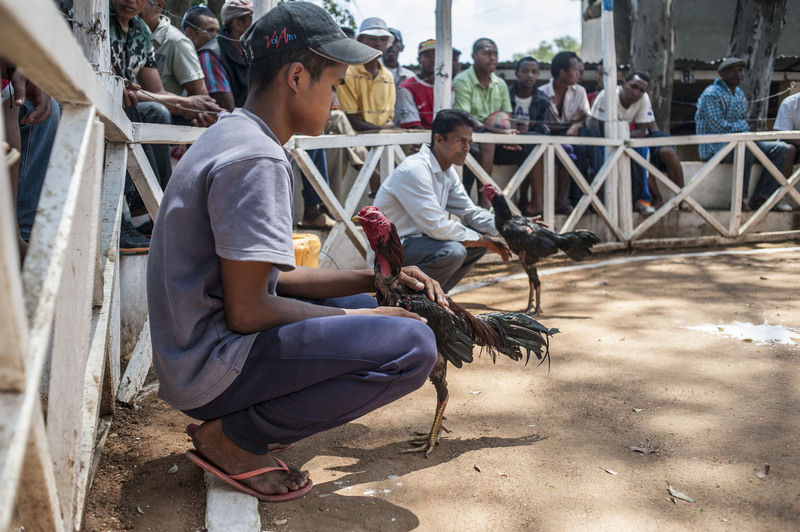 With prices as high as $500 for a bird and $50-$100 per month to maintain the birds in top condition, taking part in the sport costs much more than many Malagasy can afford. People from all walks of life attend the weekly fights. 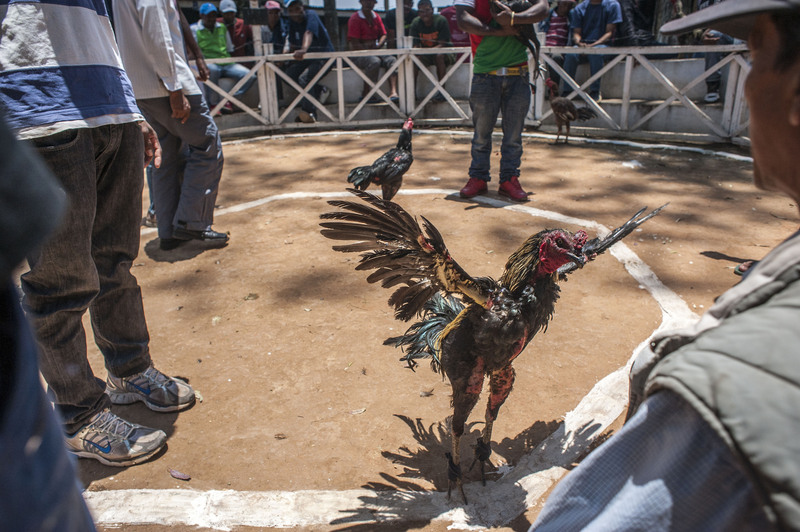 Cockfights can last up to 90 minutes and the first rooster to leave the ring or run away from his opponent loses the fight. The government receives tax money from the total stakes of the fights as well as levying income tax on the owners of the velodromes where the fights take place. Despite its biological and cultural richness, Madagascar is among the poorest countries in the world. Next Post Cockfighter since 12 year old. MMA fighter since 18 year old.